Roosebeck 37.5 Inch Hammered Dulcimer Santoor Stand DHSV. 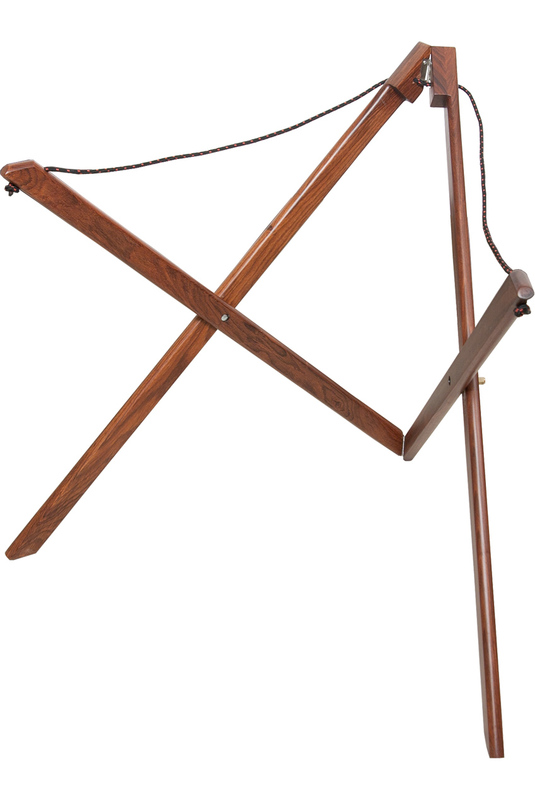 Sheesham stand with cording for the hammered dulcimer and Persian santoor. Stand is portable and light, making it great for traveling! Legs fold to make for easy carrying. Height and width can be easily changed by adjusting cord. Measures approximately 37.5" tall when closed and 30" tall when open with a length of 20" across top.